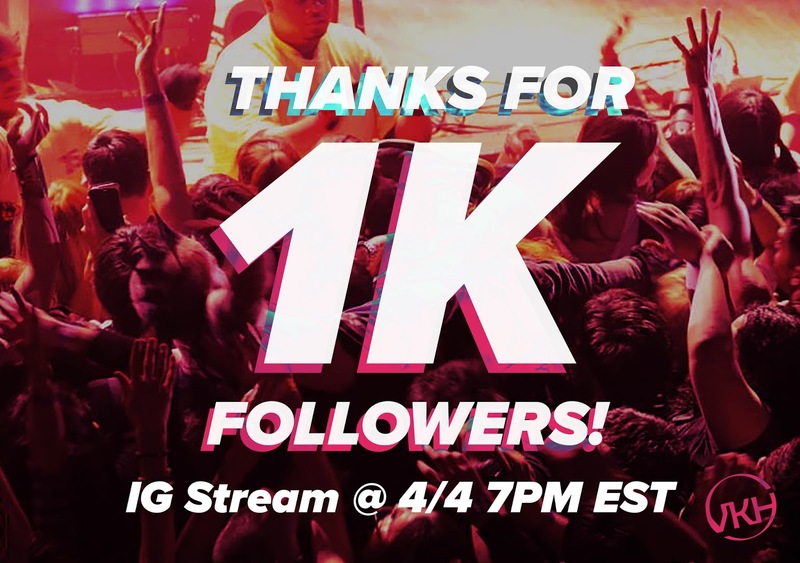 VKH Live On Instagram - 1000 Followers Thank You Special! | VKH Press – J-Rock & Visual Kei Coverage Worldwide! Home / Media / Slider / VKH Live / VKH Live On Instagram - 1000 Followers Thank You Special! VKH Live On Instagram - 1000 Followers Thank You Special! A few days ago, VKH broke 1,000 followers on Instagram! Thanks so much to all of our followers for your support. To celebrate, we're going to be taking VKH Live unofficially over to Instagram and have our first Instagram Live stream! Make sure you hop on Instagram and check out our profile (or look for our VKH profile pic at the top of your Instagram Feed) Wednesday, April 4th at 7PM EST/4PM PST. We're going to talk about all things J-Rock and visual kei, and maybe even have a few surprise guests! Leave a question for us in the live chat and we'll read it out loud. See you soon! Click here if you're not already following us on Instagram, or search "vkh_official" on Instagram. The stream will last about 45-60 minutes. We plan on posting the recorded stream to our YouTube channel afterwards if all goes well, so keep an eye out for that as well. We will embed it down below once it's up. In the meantime, don't forget to check out our post-con recap of Mana and Moi-même-Moitié at Sakura-Con (click here)!